Hey! First of all, thanks for all your cheering words on the news of our marriage. That was fun! Secondly, I’ve promised 778 people on instagram that we would share a chocolate recipe which currently goes by the working name Taco Brownies. But all the interest in them made me a little anxious so I’m heading back into the kitchen today to test another round before we’re ready to post them. Here is something to snack on while you wait. 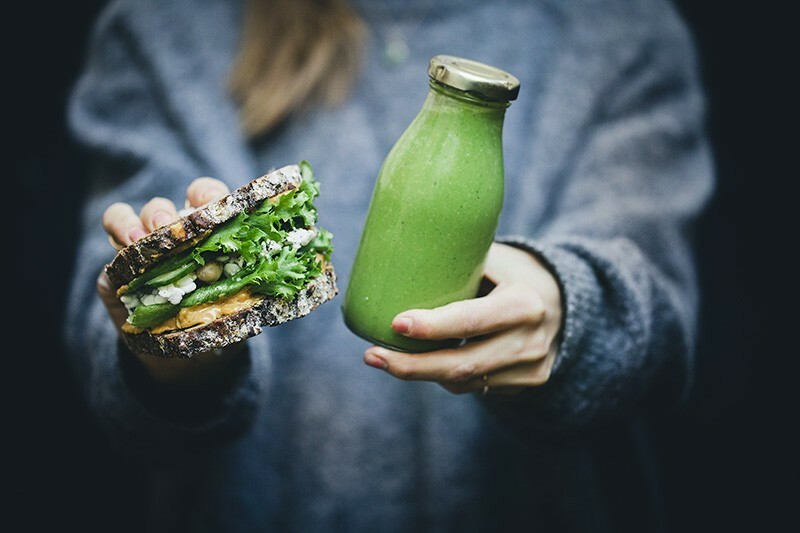 A peanut butter sandwich and a green smoothie. Technically, a sandwich hardly qualifies as a recipe. 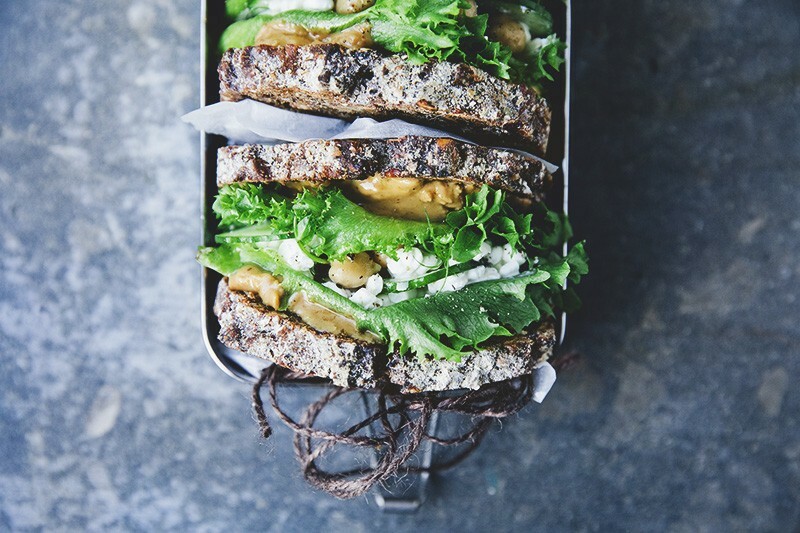 But what we want to say with this point is really just that you should try peanut butter on a savory sandwich. 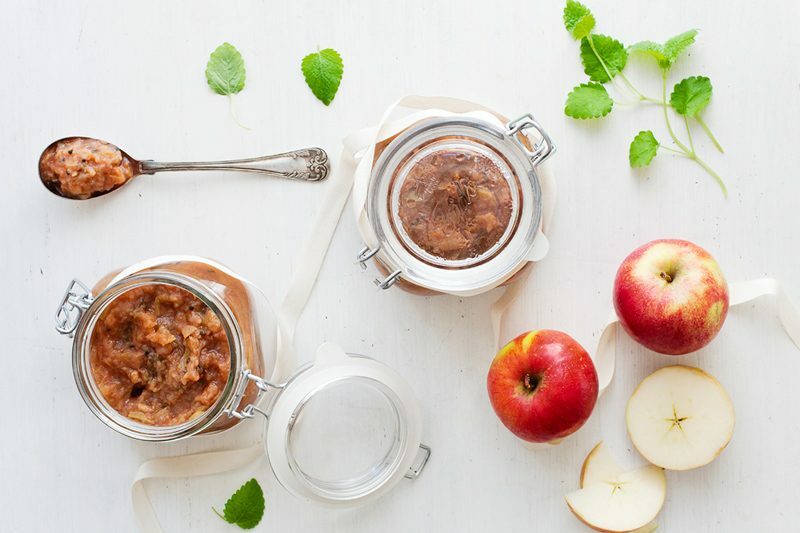 I love all kind of nut butter sandwiches and even if I usually top them with sliced bananas, apples, strawberries or a sweet compote, this savory version is my most recent addiction. Crispy lettuce and cucumber add a nice textural contrast to the sandwich without competing with the peanut butter flavor. The cottage cheese makes it moist and yummy and the chickpeas … well I don’t know why the chickpeas are there actually. I guess I just like chickpeas inside my sandwiches. This sandwich is yummy, sticky, crunchy, rich and yet fresh somehow. We usually make it with a good quality rye bread but anything goes. I just realized that this is a green sandwich without avocado so we should perhaps call it “the-death-of-avocado-sandwich-sandwich” or something catchy like that. Anyway, it’s good. And it’s not impossible that you already have the ingredients at home. So, try it! Just one note on peanut butter. Read the ingredient list in the supermarket and go for the brands that only list peanuts (and maybe salt). You can of course use other types of nut butters as well, I’d especially recommend cashew butter for this, but it’s usually a lot pricier. Spread peanut butter on each bread slice. Rinse the lettuce and cucumber. Tear the lettuce into smaller pieces, slice the cucumber thinly and place both on top of each peanut butter sandwich. Top with cottage cheese, chickpeas, a drizzle of olive oil, pea shoots and thyme. Put the sandwich together, wrap with sandwich paper and dig in. 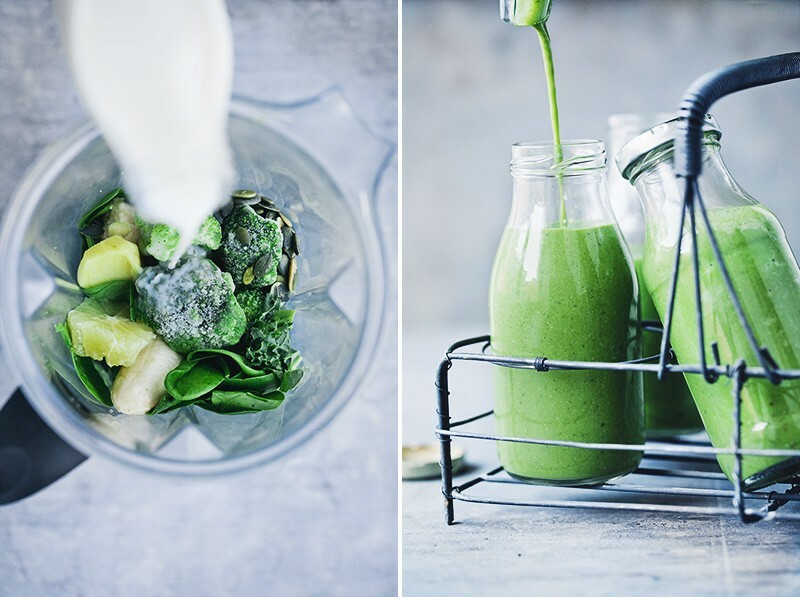 If you don’t have a super powerful blender, start by mixing all ingredients except broccoli and banana (because they are thicker and will slow down the blender blades). When mixed until smooth, add the last ingredients and mix again. 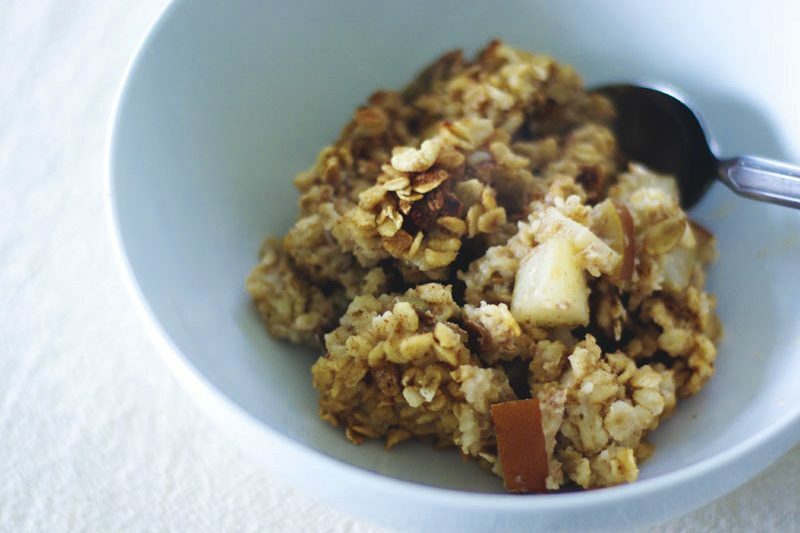 If you like it a little sweeter, you can add a fresh date or more banana. Add all ingredients to a high speed blender and mix until smooth. Taste and adjust the flavor. Add more plant milk if you prefer it thinner. Pour into two glasses or bottles. Previous Pumpkin & Kale Salad + Just Married! Made the green sandwich this morning with fresh homemade rye sourdough, using pickled cucumbers instead of fresh and absolutely loved the result. Cottage cheese and peanut butter work so well together, both enhancing the creaminess of each other. Thanks for sharing! However, the smoothie quickly developed a bitter taste. Do you know what the reason might have been? I used fresh broccoli and frozen banana. Your blog and books are awesome! Thank you so much!! I have an urgent question: about two years ago I came upon a recipe on the blog (I think it was published then) which was a very simple snack: sunflower seeds, pepitas, raisins and apples (...) heated with butter, this mixture on top of yoghurt. I only remember part of it although I made it numerous times for my family. I can’t find the recipe on your blog anymore! 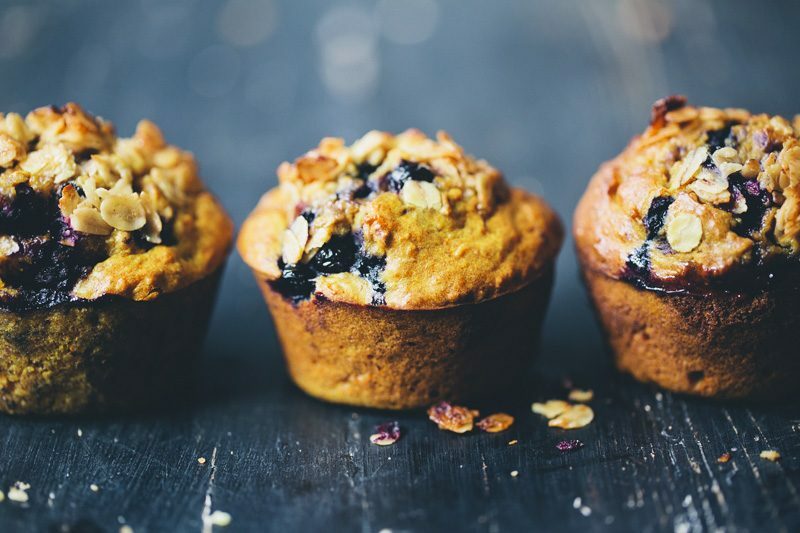 (I have searched all ingredients I can remember) I would like to use the recipe to prepare a healthy & quick breakfast-snack together with the children in my son’s school next week. Can anyone help me to find the recipe?? What a creative combination! 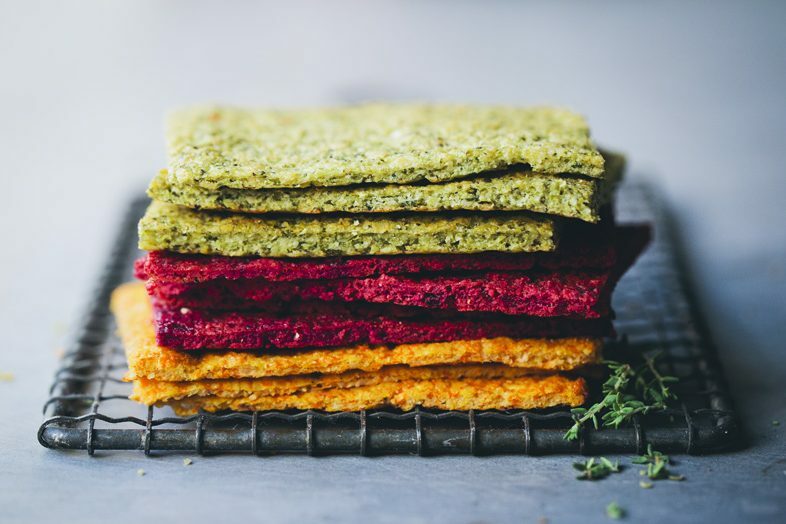 I grew up eating and loving PB and alfalfa sprout sandwiches so can’t wait to try yours! PB + green smoothie = perfect lunch! This looks absolutely fab! Do you have any suggestions for replacing the cottage cheese with a nondairy option? Do I see pumpkin seeds in the smoothie blender? Yes, sorry did we miss that? 2 tbsp pumpkin seeds / pepitas. We’ll update the recipe. Thanks! I have your smoothie book at home,unfortunately full of food stains, I use it so much I could not keep it clean! Any new books on the way ? I have 4 of them, and I can't wait to add more to my collection! I'd like to drink more smoothies, but I find it hard on my body to drink cold smoothies anytime but summer. Any tips on this? I pour hot water from an electric kettle over frozen fruit and veg right in the blender and it comes out room temperature. Perfect in winter. I love your blog and your recipes guys, your media and your vibe are so inspiring. Do you leave the broccoli/cauliflower raw or is it cooked before it is frozen? I don't know how you're getting such beautiful light for your photos in the dark winters we have up north! I've been struggling since the time change. 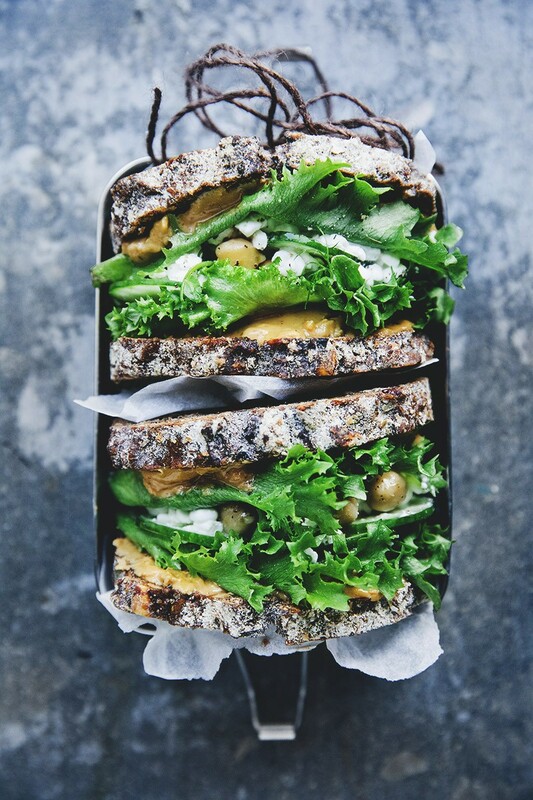 PB on a savoury sandwich sounds pretty damn good and I'm glad that you haven't put avocado on it - they're so expensive! So pretty. What a wonderful combination! !! Your photos are stunning as ever also. It looks very delicious! Is it your own recipe on rue bread? if it is would you like to share it with us? 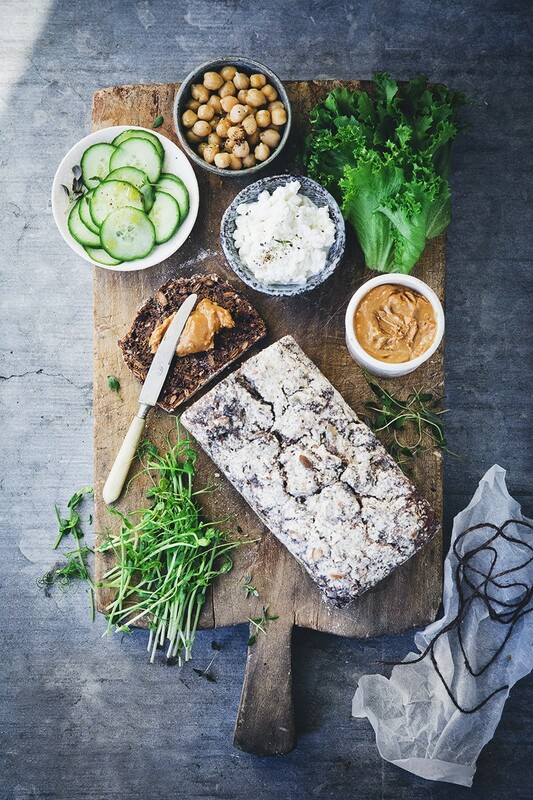 They have a wonderful recipe in their first book, Ellen :) & sorry to plug myself but if you can't get good dark rye where you live I also have a recipe on my blog for north German overnight rye.